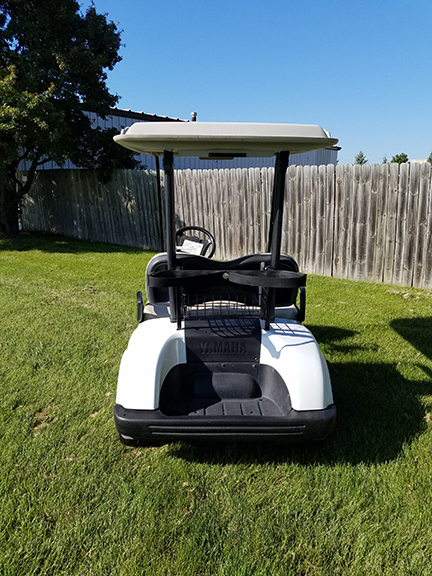 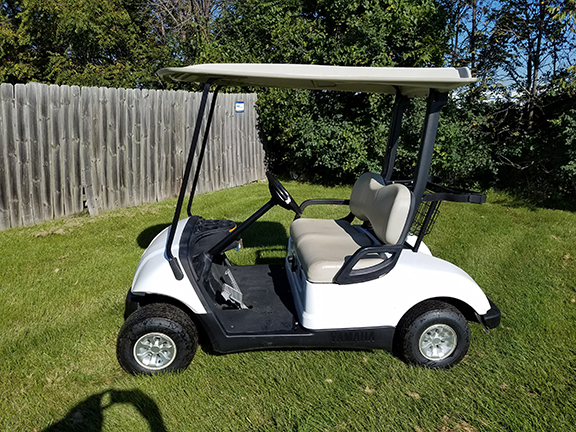 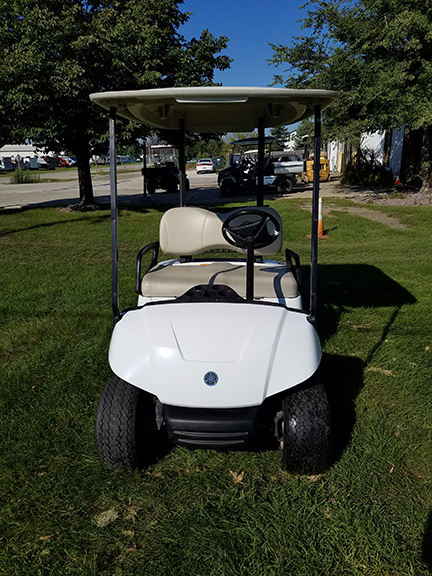 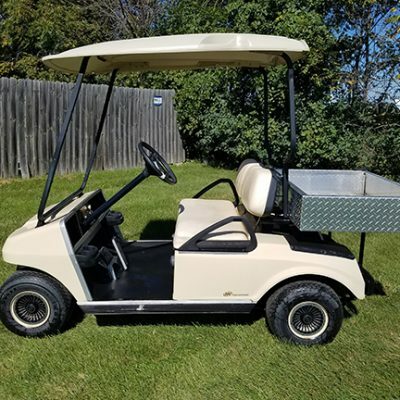 This 2009 Yamaha Drive in glacier white comes with a Yamaha canopy top with dual rain gutter system and metallic silver wheel covers. 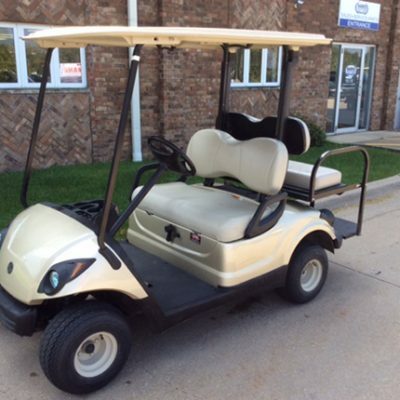 Talk to us at Harris Golf Cars for more details. 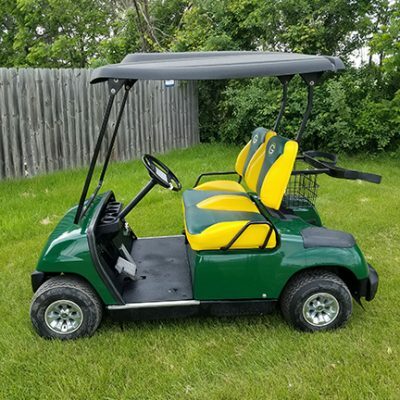 This would be a great car to customize to your liking!